Sterling Children's Books, 9781454921295, 32pp. You can't take the perfect selfie if you're all by yourself. 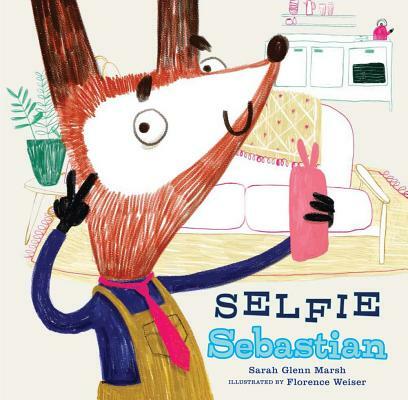 Sebastian is one handsome fox--and he really, really loves to take selfies. But somehow, no matter how camera-ready he is, his pictures always lack a certain something. And he can't put his paw on exactly what. So Sebastian sets off on an elaborate quest to take the perfect selfie, dashing from a glamorous red carpet in Hollywood to the vast expanse of the Grand Canyon. He even zooms to the Moon Still, none of Sebastian's photos make him happy. Could it be that the secret to his special selfie is right where he started . . . at home, with his friends? Sarah Glenn Marsh writes fantasy and horror novels for young adults, as well as children's picture books. She received a master's degree in education from the University of Mary Washington before deciding to pursue her dream of being a writer. Her debut YA novel, Fear the Drowning Deep, was released by Sky Pony Press in September 2016; her debut picture book, A Campfire Tail, will also be published this spring with Sterling Children's Books. She lives in Richmond, VA, with her husband. Visit her online at sarahglennmarsh.com or on Twitter: @SG_Marsh. Florence Weiser is an illustrator and graphic designer currently based in Belgium. She lives and works in a fairytale trailer in the midst of a magical garden, where she gathers most of her inspiration!